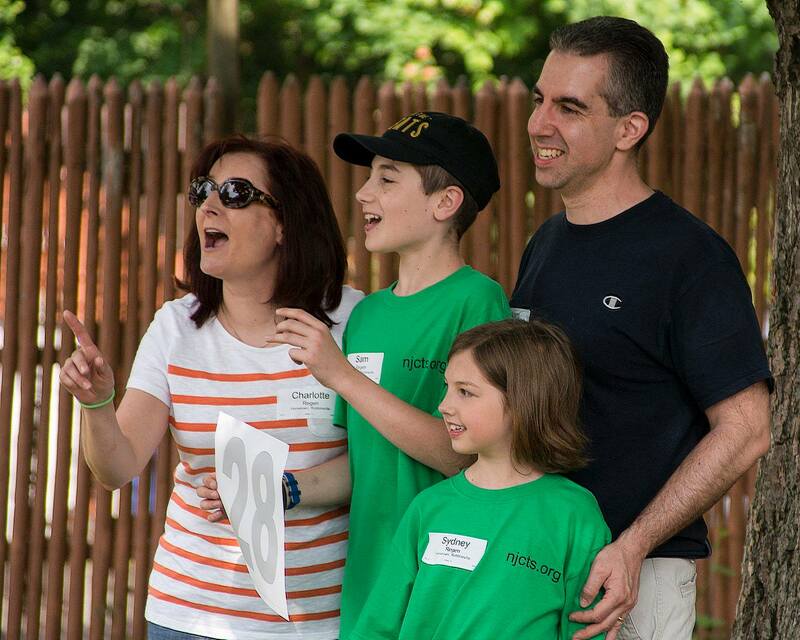 About 6 years ago, a few months after our son was diagnosed with TS, we learned about the NJCTS Family Retreat (Camp Bernie). It sounded like fun but we did not know what to expect. We are not much of an outdoors family, especially when it comes to camping. So we were a little unsure of whether we wanted to attend and what to expect. We are so glad we decided to try it. For us it really did turn out to be the best weekend of the year, and we have gone back every year since then. It would have been a huge mistake if we did not give it a try so we thought it best to share our experiences with others who may also be debating whether they want to go. And we wanted to answer some of the same questions that we had that first year when deciding if we wanted to go. For our child with TS (now 15 years old): Camp Bernie has been so great for him because it has allowed him to meet so many others with TS. Each person has their own unique story with challenges and accomplishments. On his first visit he was so happy he was in tears because he said it was the first time he felt totally comfortable around others with TS where everyone understood what it was like. For our child who doesn’t have TS (now 11 years old): It is also her favorite weekend of the year because she gets to do so many great activities: archery, canoeing, basketball, rock painting, a talent show, and she has met so many great kids. She has met kids who understand what it is like to have a sibling with TS. For us parents: It has been an invaluable resource where we met other parents with the same challenges, attend great educational seminars/meetings, met psychologists/doctors with TS experience, and also had so many of our questions answered. Through meeting other parents, we got a reference for a neurologist who we use today and also many other resources such as the Rutgers program. It also allows us to get to know the NJCTS staff who have helped us so much over the years. One year our child had a very difficult TIC which we thought would be hard to find advice on. Sure enough we found another child struggling with the same TIC and we shared great knowledge with the other parents that helped out both families. It is a flexible weekend as far as times, you can attend as much of it as works for your family. We choose to arrive early Saturday morning, right when breakfast ends so that we can take part in all activities. We stay until the end on Sunday afternoon. If you arrive Friday night, it adds some activities that night and also allows you to get settled in. For us arriving Saturday early works best. Sleeping/Living arrangements: You stay in one of various cabins available at the Camp Bernie site. We have only stayed in one (each year we request the same one) and for us it is great. It has a big common area in the middle and then two sleeping areas, one side for men and one side for women. In each section there are a bunch of bunk beds as well as a bathroom with showers. The facility was clean and was great for us. When you get there you can pick whichever bunk beds work that are not being used. Each has a mattress which you bring a sheet to cover and your own pillows/blankets. An extra sheet to hang is great if your child needs to close off from the world. The central area in the cabin is our favorite. It allows us to meet other people, sit and talk, and in the evening we bring card and board games to play with anyone else staying there. Eating arrangements: There is plenty of food. On Saturday there is breakfast, lunch and dinner. Usually each is held in the dining hall. Each family is assigned to a table, which is shared with others. There is a salad bar available with many choices. The dining hall is well organized. The menu is preset. Each table gets called up and a few people from the table go up and get the tray of food for that table. The meal is served family style meaning the tray has a few plates of the entrees which everyone can take from. All food costs are included in your initial fee. Central meeting spot: This has been located near the dining hall and is where you would pick up your information packet. 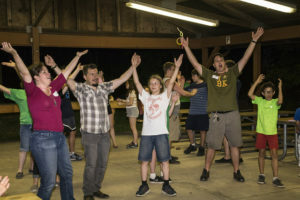 It serves as the central area where you can find out information, talk with NJCTS members, and also just meeting up with other campers and talk. When you arrive: you go to this central area where there is a parking lot and get your packet. In that packet is all the information for your weekend. The whole weekend is very well organized but it is also flexible based on what works for your family. You are assigned to a group and each group is given specific times for activities. It also gives a schedule of all the options such as seminars and discussion panels that you can choose to attend. And it gives your cabin name and answers other questions. Fun camp type activities: There are plenty of things to do and they are optional. 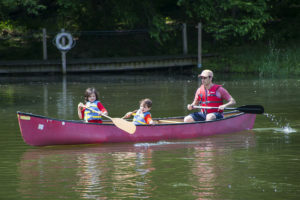 Usual activities include a lake where you can do canoe on the lake, a swimming pool, archery, ropes course, and similar activities. Each is run by dedicated Camp Bernie personnel who are there to help and assist. Aside from the pre-planned activities, there is also a basketball court with balls which is popular, tetherball, and arts and crafts such as rock painting, etc. We have always enjoyed all of these activities. NJCTS group learning activities: In the past this has included a mentor panel where children and young adults with TS sit at a table, talk about themselves and then open up to any questions the group wants to ask. It is very informal and something we have found extremely educational. Talent show: probably one of the favorite parts for us, you can simply attend and watch others perform a talent, or you can sign up to join in. Talents include singing a song, playing an instrument, a dance, many different things. It is very casual and is a great time for all. Educational seminars and talks: In the past there have been a neurologist, a psychologist, members of the Rutgers TS program, and also a parent panel. We have learned a lot at these and all offer you the chance to ask questions. The best way to sum up the weekend is this: Last year there were not enough people who had signed up early on, so it was cancelled. My family looks forward to it and were really disappointed about it. We figured our son with TS would be the most upset out of all of us. But when I informed my family that it wasn’t going to happen, our 11 year old daughter (who does not have TS) was the one who was the most upset. When I asked her why she was more upset than her brother she said because she has so much fun there and looks forward to it all year. If you are interested in the NJCTS 2018 Family Retreat, visit www.njcts.org/family to learn more and register.